Jonas Elrod, born February 1, 1972, is an American writer, director and producer for television and film. 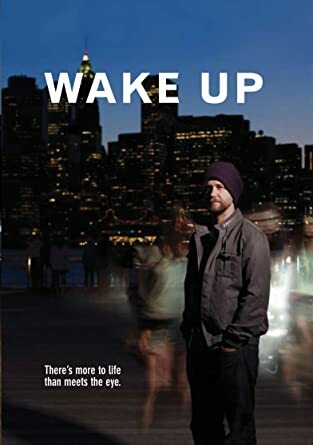 His documentary, Wake Up, chronicled his journey as he went in search of understanding and deeper meaning while undergoing a spiritual awakening. Wake Up was released in 2010 and we wanted to catch up with Jonas about his other projects and how he’s evolved since his awakening. The first thing you may notice here is that he’s sitting with Oprah. In some manner of synchronicity, Oprah’s people found the film and decided to screen it on the OWN channel. Jonas was interviewed on Super Soul Sunday and also given his own segment called In Deep Shift. He interv iewed people on their own spiritual journeys, offering and receiving wisdom. The episode that is available in its entirety on Youtube is with Alanis Morissette. (We’ve linked it below for you.) In the interview, Jonas spoke about how lovely it was to work with Oprah. He even hinted that we might see him on OWN again soon. One of the most interesting things that Jonas talked about was that he considers his film Wake Up to be a love story. During his awakening, his girlfriend Mara was not quick to believe what was happening to Jonas was real. She was faced with a different kind of spiritual journey, one of acceptance and openness. He talks about their evolution since the movie and how they have come together on this topic while maintaining different realities. Jonas spoke highly of the new miniseries Belief, appearing on OWN, which starts October 18th. Check your local listings for times.